So, coming across this article about hygge (please don't ask me how to pronounce it, I really don't know) in The Guardian suddenly brought up a lot of questions for me. Taiwan is moving from being a deeply homogenous society to dealing with what is now termed "New Taiwanese" (新台灣人). Despite being a society of immigrants, I believe Taiwan's particular experiences with being colonised/governed by outside powers created a strong singular social identity, which is now being challenged as Taiwan has been opening up to the wider world and new kinds of immigrants arrive. What does this have to do with hygge? Well as I understand it, Denmark is a highly homogenous society with high levels of social welfare (and the taxes to support it!) that is now experiencing a lot of immigration. So there are some parallels with Taiwan that we could explore to illuminate our own situation. What’s Taiwan’s version of hygge? What basic assumptions of how life should be are there in Taiwan? What would you name as the core good-life values in Taiwan? What values are used as social parameters/control in Taiwan? Do the core good-life values mentioned about ever also function as a form of social control? Can society only when homogenous? Can common social values exist in a heterogenous society? Are the only happy societies closed societies? If all society’s member’s basic needs are covered, would that promote or break down social togetherness? …hands cupping warm mugs; bicycles leaning against walls; sheepskin rugs thrown over chairs; candles and bonfires; summer picnics; trays of fresh-baked buns. To look at them is to long for that life, that warmth, that peace, that stability – for that idealised, Instagrammable Denmark of the imagination. Hygge is also recognised as a self-evidently positive and particularly Danish value. Though the word itself is actually imported from Norwegian, its emergence as an element of national culture is sometimes traced back to Denmark’s loss of territory in the 18th and 19th centuries, when it was forced to abandon tracts of what are now Norway, Sweden and Germany. It is stitched deeper into its language than equivalents in neighbouring countries (such as the German Gemütlichkeit, and the Swedish mys) and is firmly entangled with the way that Danish society organises and projects itself. 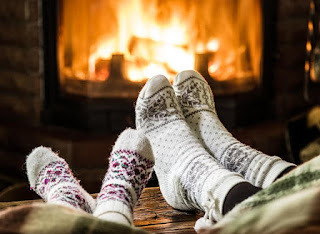 Hygge as feel-good social control? The suppression of difference inherent in hygge, Nors said, was not confined to family life. She related the word to Denmark’s historically largely agrarian economy and rural society. “It’s a very small nation – and we all used to be farming, although that’s changing fast. In this kind of society, conformity is really important. Hygge provides a way of establishing consensus.” Those who rock the boat, who think differently, who speak out – “they are spoiling the hygge”, she said. Homogeneity as social glue, or heterogeneity as social discord? But Kjærsgaard and her allies use hygge with particular, and deliberate, force, according to Nors, “promoting a popular image in which being Danish is about sitting round a table and eating cake – or pork. And, they imply, everyone outside that is not Danish – and it taps into a fear that globalisation and refugees will destroy everything.” The Danish People’s Party’s perspective is that Denmark is an almost perfect country, with its long history, its generous welfare state, and its cultural distinctiveness. But anything that threatens that safe community, including alien values and ideologies, cannot be tolerated. Hygge, but what is the cost? Carsten Levisen asked me if I thought the appetite for hygge in Britain was partly about a fantasy of what Britain might have become, if it had had the chance: Denmark as a kind of alternative, but squandered, possible future. Perhaps, but if he is right, it would be a wonderful contradiction. When Britons are asked whether they want a stronger welfare state and more equality – the basics of a more hyggelig life – they tend to vote “no” pretty hard. Britain is hungry for the accoutrements of hygge, but not the costs – such as high taxation – that come with it.